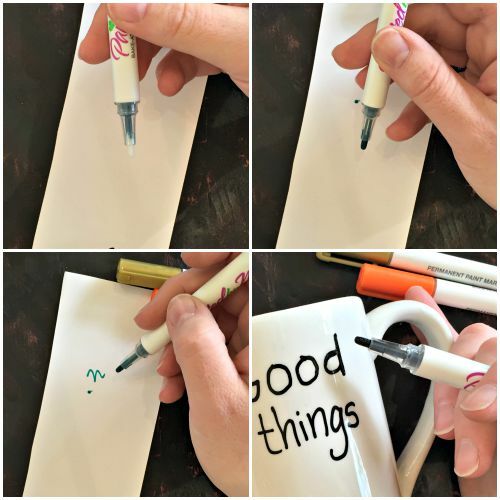 Doodling on coffee cups is a lot of fun, and there is a highly popular tutorial online that suggests that you can make a great DIY marker coffee cup using permanent markers. Unfortunately, this technique ends up in a fail more often than not! 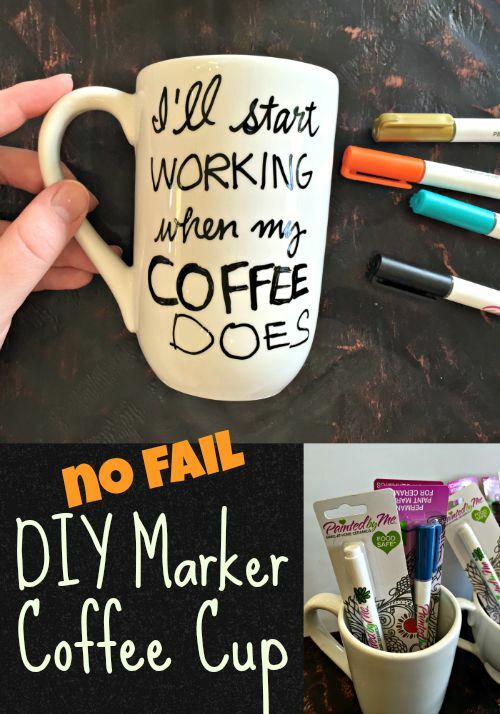 Instead, why not use the right markers for ceramic and doodle your way to an awesome coffee cup? 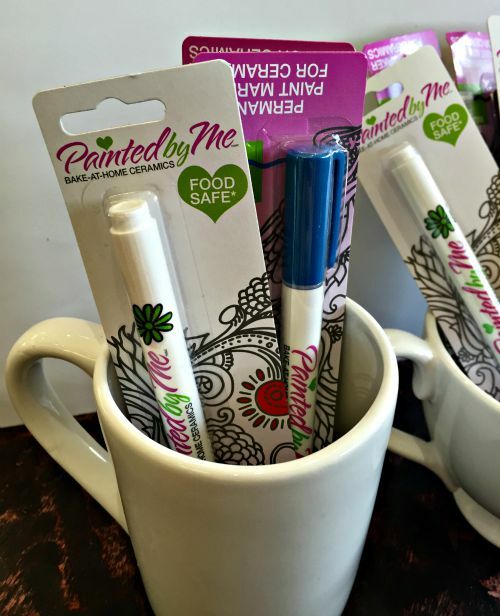 Start with Painted By Me ceramic markers and your project will last a long time! For this project, I just used a black Painted By Me marker, but they come in many luscious colors, including gold! 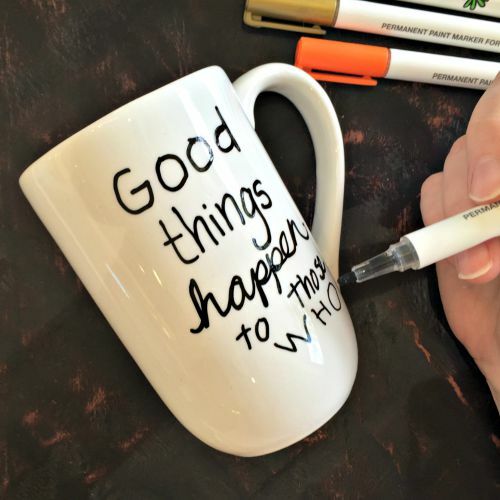 BEFORE YOU BEGIN: Clean your mug according to marker package directions. 1. To start, shake the marker with the cap on. Then depress the tip onto a piece of scratch paper. I love that you can see the ink flowing into the tip - no guessing! Do a little squiggle on your paper to make sure the ink is flowing correctly. 2. 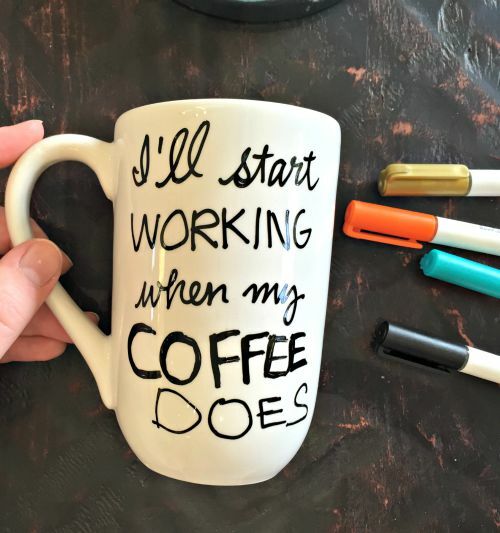 Next, doodle away on your mug. Note: the ink colors will NOT blend, so keep that in mind when you are creating your design. If you make a mistake, you can "erase" the marker with rubbing alcohol and a cotton swab. Remove any stickers or labels. To make your design permanent, place ceramic into a cool non-preheated oven, and bake at 375 degrees for 40 minutes. Allow ceramic to cool in oven before handling. To avoid cracking when baking, let ceramic heat up and cool down with the oven. Paint is food safe when baked onto a Painted By Me ceramic piece. Are you looking for best coffee mug for gift and personal use to contact with EveryDay Mug Company its all mugs is really very nice and looking good for more information to visit our website. El Rolex Daytona original se convirtió en un icono a principios de los años 60 iwc replicas cuando se introdujo la primera serie. Fue producida hasta finales de los años 80 y permanece como una de las líneas de relojes de lujo más replicas hublot exclusivas y costosas alguna vez replicas rolex creadas. Tangle extraordinary arrangements on buffet riser and stands. Get Buffet Elevations, Ceramic Mugs you need to make an perfect buffet arrangement. Greetings from Ohio! I'm bored at work so I decided to browse your website on my iphone during lunch break. I love the information you provide here and can't wait to take a look when I get home. I'm surprised at how fast your blog loaded on my mobile .. I'm not even using WIFI, just 3G .. Anyhow, very good site!